Pink Diamonds, Leadership development program to empower adolescent females to build a strong foundation and build positive self esteem. 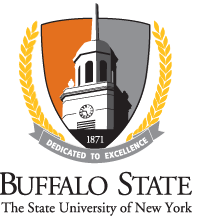 BEAM, Buffalo Engineering Awareness for Minorities, a summer program to encourage, enrich and prepare students' to pursue a future in the fields of science, technology, engineering and math. Gentlemen’s Institute, Leadership development program founded by Lindsey Taylor and Akil McLeod to empower young men with the necessary skills to build a strong foundation. The College Simulation Experience, The College Simulation Experience is an education initiative founded by April Baskin dedicated to improving college retention rates in students from disadvantaged backgrounds.